What do we hear Jesus saying to us about NFC’s connection here? In our prayer time yesterday, it’s clear that we all love it here. We feel at home, we want to connect, we have huge respect for Arun and Shobha’s ministry and heart. Several of us mentioned the difficulty we are feeling: when we ask Arun about partnering, about what they need, the answers don’t leave room for us to “do” as much as we would like. Arun is clear, time and time again, about what is needed: Indian workers who are both faithful and useful. They need prayer support. We can’t be parents at a new home-no Westerner could. Arun isn’t even really asking for money; he’s asking for prayers support for the girls, for the workers, and for God to give more workers. God is blessing this work after years of seeing no fruit. 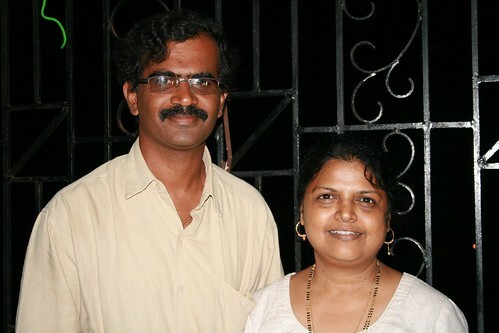 Arun is confident the easy part would be raising money for a boy’s home; what is hard is finding people who will follow Arun and Shobha’s philosophy to be their “papa” and “mama”. Many of us talked yesterday about how we feel broken, how we have an ache. We want to do it all. Rachelle talked about mobilizing people and resources- “That’s what I do”- but we’re just being asked to pray. It seemed a clear sense of the meeting. Then one of our group began coming back, several times, to “Why can’t we do? Why stop with just prayer?” The sense of the group was that Arun needs to take the lead, and he’s asking us to pray-that’s the difficulty. What we have here is an ideal, dream missions situation. We pray for opportunities like this, to have a national doing extraordinary ministry, capable of continuing to direct and organize the work. What I didn’t realize is how hard it is to get what you pray for. It was at this point in the conversation that Hayley shared about the body of Christ, and us being the eyes not the hands. It seemed to cement what God was speaking to us. I cried, and so did Rachelle and Tessa. It was a beautiful moment to have my daughter speak the sense of the meeting. Where we ended is, we love and feel a drawing to this ministry. We hear Arun’s call to us to pray. The hopeful place we ended is, God is growing this ministry so rapidly, there may be ways for us to “do” that Arun can’t forsee now.